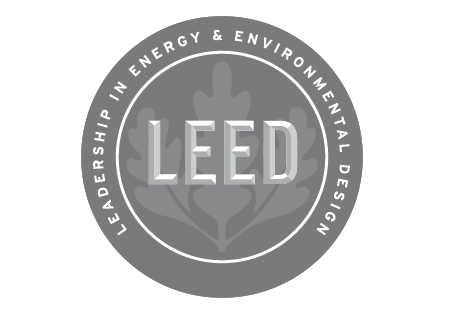 When it comes to green building, those involved in the LEED (Leadership in Energy and Design) program are paving the way to authentic sustainability. Builders and homeowners around the world are designing homes and setting the precedence in reducing our footprint and protecting the environment. Because this program is such a value to our local and global communities, we wanted to share with you some innovative components used in the pursuit of green building. The word recycling typically has most people thinking of recyclables such as aluminum, glass, and paper. However, many home building materials can be reused or replaced with more eco-friendly options. Green building industry focuses on the environment by utilizing the highest percentage of sustainable, renewable and recyclable supplies, some of which are reclaimed lumber, bamboo, cork, and palm that can help meet the requirements for LEED certification. Natural resources are also favored including stone, clay, and lime. This component of green building is all about living walls or a green roof. Although living walls have been around for a few decades, they are one of the many features showcased in today’s green homes. Often referred to as vertical gardens and green or plant walls, the extensive list of their benefits include: the removal of volatile organic compounds (VOCs), sound absorption, and provide a food source if planted with edibles. Reclaiming or recycling water, converts wastewater or grey water into water reused for other purposes. This conversion can aid in replenishing surface and groundwater, irrigation for gardens and if treated properly can reach drinking water standards. There are several methods of collection and treatment methods including rain barrels, basins, and tanks if used between water sources, i.e., sink and toilet. Of course, energy star appliances and smart home technology can help a homeowner meet Title 24 compliance. Another green building component often used when energy conservation is desired is the application of solar power panels either mounted on the ground or roof. Green roofs consist of a growing medium and vegetation, valued for their insulating ability, reduce energy demands by maintaining a stable surface temperature. This list is by no means exhaustive, as there are several other innovative means of building an eco-friendly sustainable home. We hope that these few will inspire you to consider joining the pursuit of protecting our environment and future. For an award-winning MEP in Los Angeles that can offer you further information on green building, whether new construction or retrofit, please contact K2D consulting engineers at 310.935.3773 or visit www.K2d.com.